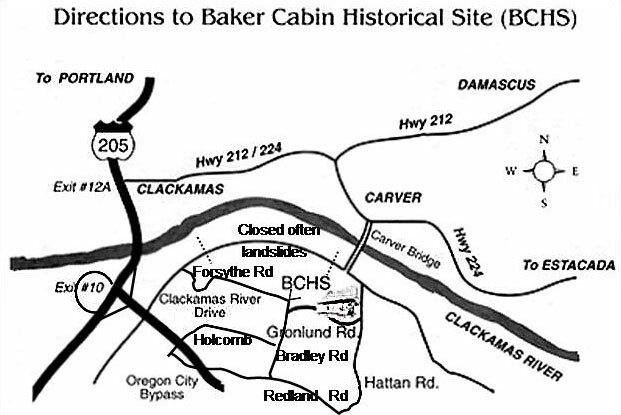 Take Exit #12A at Clackamas onto Highway 212/224 for 3 1/2 miles. Keep right at junction onto Highway 224, 1 mile to Carver Junction. In Carver, bear to the right, down the hill, across the bridge. Turn left, go about 1/8 mile to S. Hattan Road. Turn right, up the hill (heading south), go about 1/8 mile to junction of S. Gronlund Road. Baker Cabin & Pioneer Church Historical Site is on the right. Immediately move to the left turn lane. First left turn (north) will get you onto Clackamas River Road. If Clack. River Road is closed; detour by taking a right turn off of Clack. River Road onto S. Forsythe Rd. Follow Forsythe approx. 5 miles to 1st stop sign at S. Bradley Rd. Turn right on S. Bradley. Then take first left onto S. Gronlund Rd. Proceed down the hill to BCHS site at junction with S. Hattan Rd. If S. Clackamas River Road is open; proceed about 5 - 6 miles to stop sign. Continue straight ahead and take next right (south) onto S. Hattan Rd. Go up the hill about 1/8 mile to site at junction with S. Gronlund Road. Baker Cabin and Pioneer Church Historical Site is on the right. Call now for your 2017 wedding. Dates fill up fast! 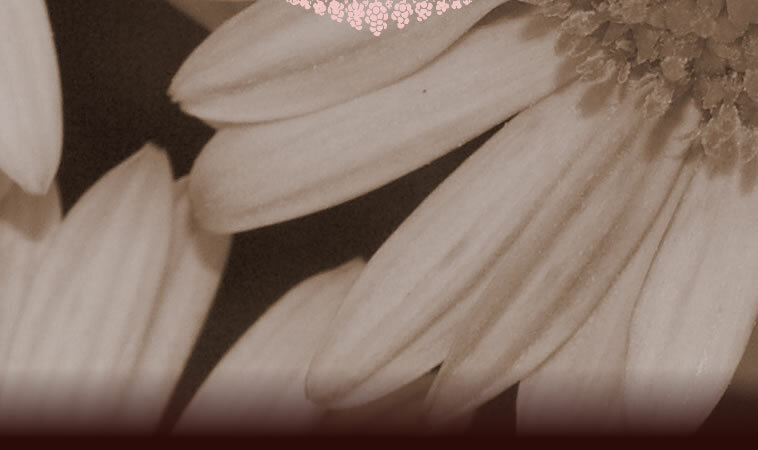 (be sure to say you found them at the NEW Pioneer Church wedding WEBSITE!